Her documentary film ‘Unbroken: The John Sumonu Story’ which she directed and produced, was nominated for best documentary at the 2014 Abuja International Film Festival. She is the anchor of the Web Series, ‘Chapters’, where authors are invited to give insights about books they have written. Toyin Poju-Oyemade is married to Pastor Poju Oyemade, the senior pastor Covenant Christian Centre. 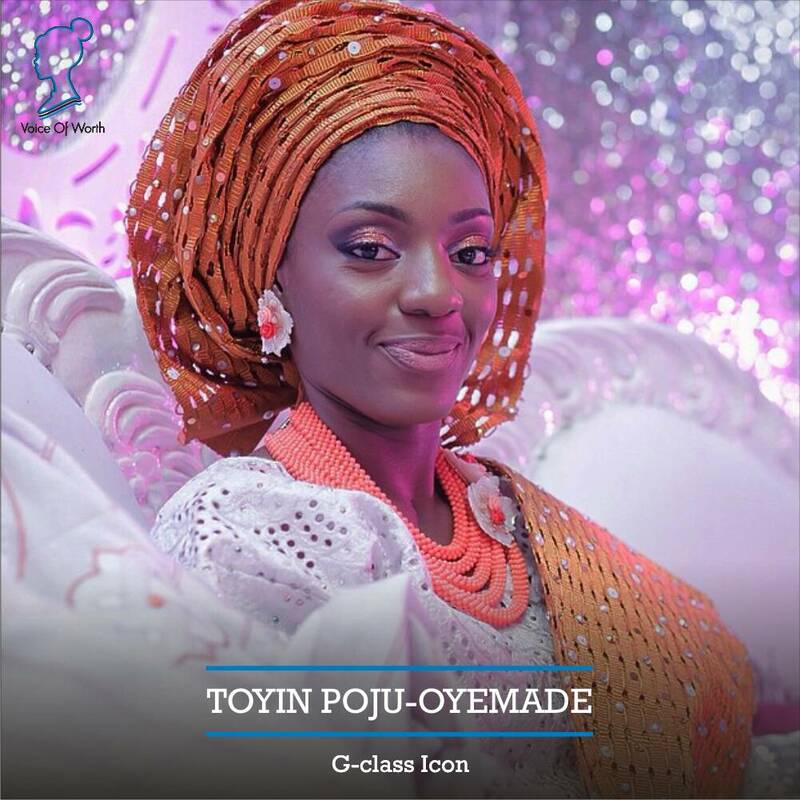 Toyin Poju-Oyemade is our G-Class icon for today.